Self-Insurance Institute of America (SIIA) is the leading advocate for the legislative/regulatory interests of the self-insurance industry at both the state and federal levels. 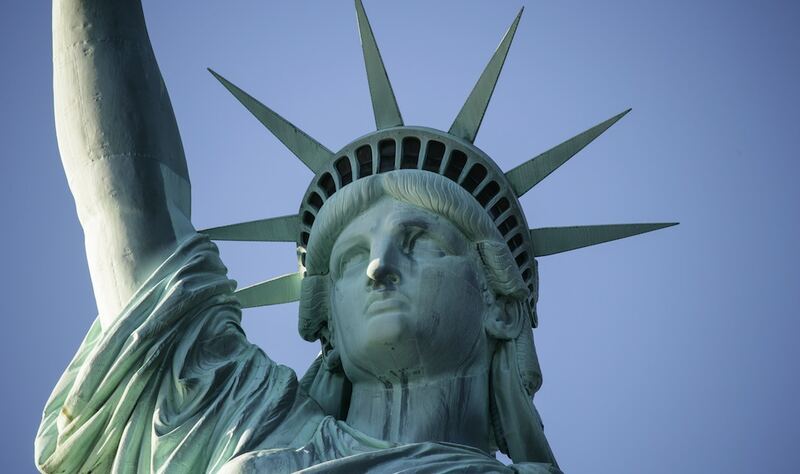 SIIA is the leading voice for employers in the US looking to better understand how to self fund their health benefits and control their expenses. SIIA publishes a monthly magazine, Self Insurer, which has a great article on direct primary care in this month’s issue. ImagineMD was proud to contribute to this well-researched and balanced article with its Founder and CEO, Dr. Alex Lickerman, sharing insights on how providing adequate time to care for patients expands what gets handled in the primary care setting and therefore reduces the frequency of ER visits, specialty referrals, inpatient admissions, MRIs, and other unnecessary care. In our own practice here at ImagineMD we regularly avoid unnecessary care that no only put patients in harm’s way, but is also quite costly to the health plan. For example, MRIs for low back pain. We know that too much care is just as bad, if not worse for patients, than too little care. Other leading industry voices participated including Emma Passe, a third-party administrator, sharing her experience with two employers, one a large South Carolina client and the other a Denver-based client, one of whom used reference based pricing in combination with direct primary care. 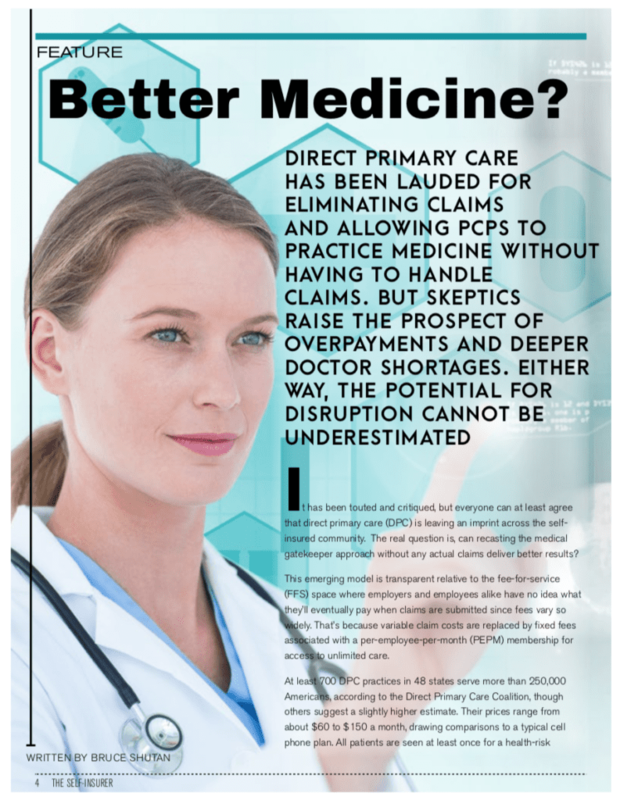 Stop loss carriers are now taking notice and seeking to better understand how direct primary care works to reduce exposure to aggregate claims and even some catastrophic claims. 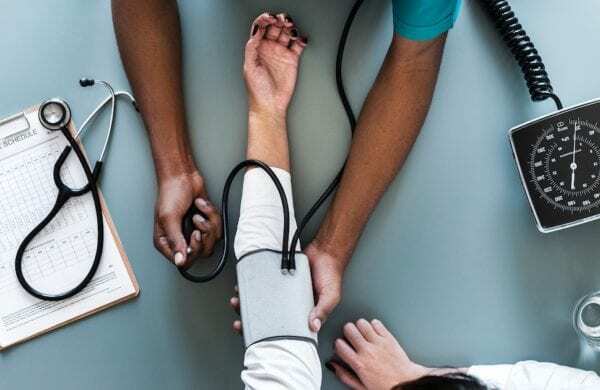 Christy Vago, a stop loss executive with One Beacon, discusses how “by both improving benefits [by offering direct primary care] and lowering costs . . . consultants and vendors that promote direct primary care to their self-insured customers will be better able to retain business and close new sales.” Happier employees, lower healthcare costs, and a healthier workforce are what direct primary care delivers to employers willing to be early adopters. Employers who sponsor healthcare for their employees are doing their employees no favor by using PPO networks where physicians have one average 15 minutes to see patients. Set your employees up with a direct primary care option to afford them access to the better care that arises from a real doctor-patient relationship and 24/7 access to enable them to obtain the type of quality care they deserve. Any company that does so will in the end be serving itself.